If you’re a frequent shopper at Aveda Salons or Stores, then you probably already know what a lifesaver it is to be an Aveda Pure Privilege Member,. If you’re not already earning and redeeming Pure Privilege Points on your purchases, we highly advise that you start cashing in on your free stuff! The perks of being a Pure Privilege Member are endless. Joining Aveda’s rewards program is a no brainer especially if you are an online shopper. 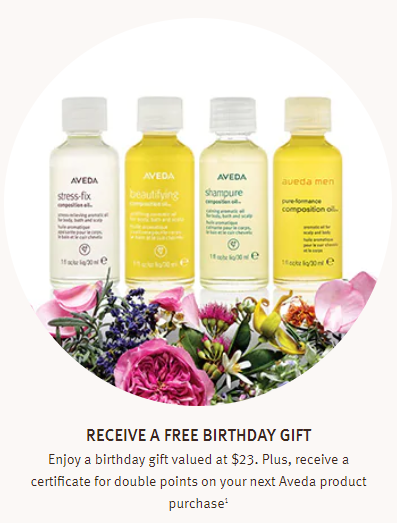 First off, Pure Privilege members receive free standard shipping on every online Aveda order. If you’re too busy to stop into our Gordon Aveda salons, you can still shop and earn points here. 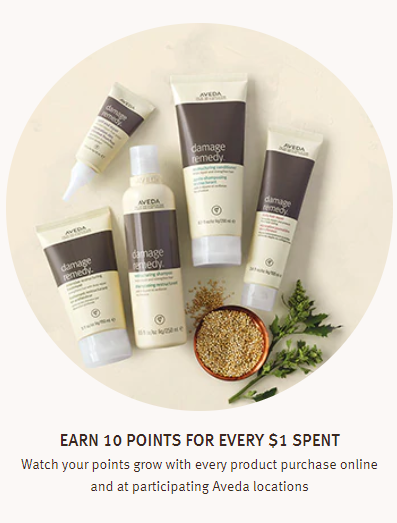 Rewards accumulate faster than you can imagine considering you earn TEN points for every one dollar that you spend on Aveda products. 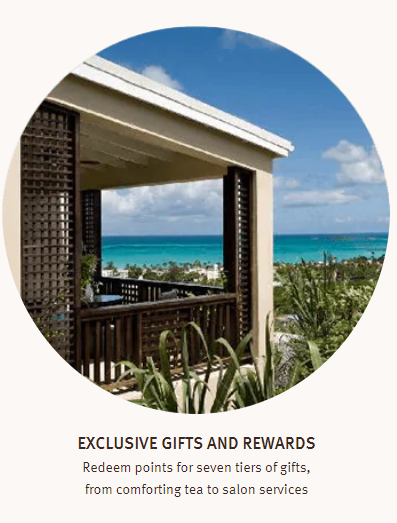 Rewards can be redeemed at seven tier levels ranging from 1500 points for free travel size Hand and Foot Relief products, all the way up to Tier 7 which can be redeemed for hotel stays and spa vacations. You will also receive a free special gift on your birthday, no purchase necessary. The perks just keep on coming. In addition to constant promotions like bonus points on certain purchases, all members will receive DOUBLE points on their first purchase after registering for Pure Privilege. Personally, I have seen client’s surpass several rewards tiers on the same visit that they first registered. For example, simply registering for Pure Privilege the next time you stock up on your Damage Remedy shampoo and conditioner liters is enough to earn you over 4,000 points right away. That automatically puts you at Tier 3, making you eligible to cash in your points for products like a full size Dry Remedy Moisturizing Masque or a Soy Wax Candle, valued at over 40 dollars! Essentially, if you buy Aveda products more than once a year and you are not already signed up as a Pure Privilege Member, you are literally saying no to free stuff. One of the most popular rewards that we see redeemed at Gordon is the $75 gift card that can be used on services here in the salon. Joining Pure Privilege is easy, a one time ten dollar activation fee and the benefits never end. At Gordon Salon, we keep your Pure Privilege member number on your customer profile so you never have to worry about remembering your account number or carrying around the rewards card. As if free shipping, free full size products and spa vacations aren’t enough reasons to join Aveda’s rewards program, their constant promotions make earning points as easy as can be. Current and upcoming promotions include double points on purchases from November 28 - December 2nd, (If you register during this time, you’ll receive TRIPLE points on your first purchase!) and 300 bonus points on ANY 3 products. You only need 1,500 points to start redeeming for free stuff, so make sure to register as for Aveda Pure Privilege Program the next time you stop into Gordon Salon and start earning points for free Aveda products!